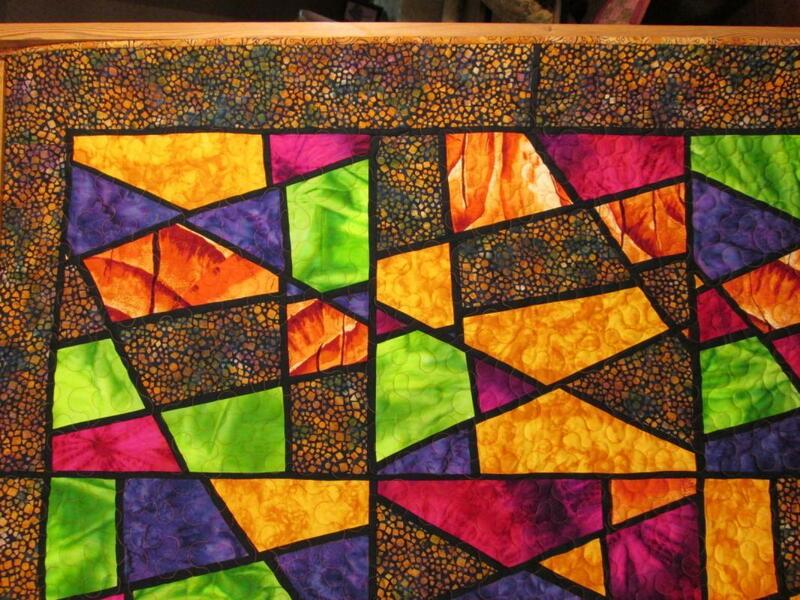 Offering this vibrant stained glass throw / wall hanging quilt, made from my shop exclusive quilt pattern. 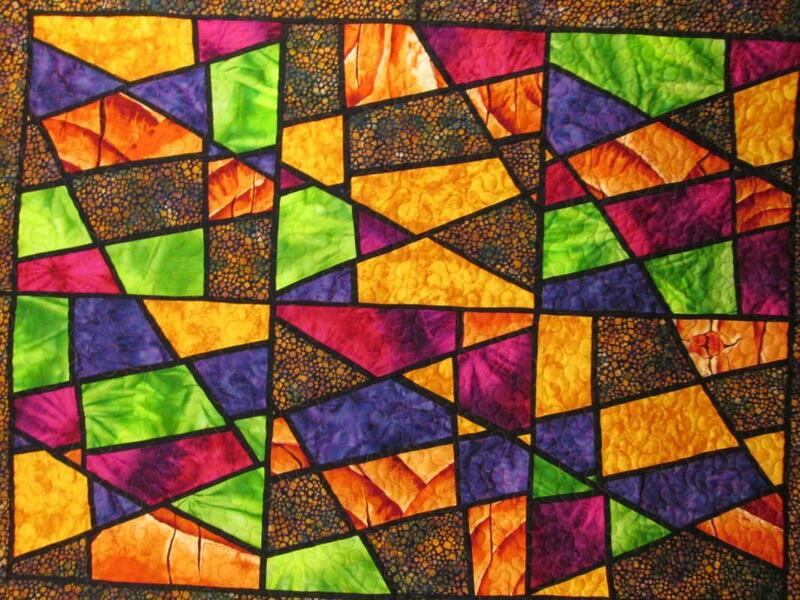 Measures 45"x 60", all high quality batik fabrics in orange, tangerine, deep rose, lime green, purple, deep gold and black with gold & orange random spots. 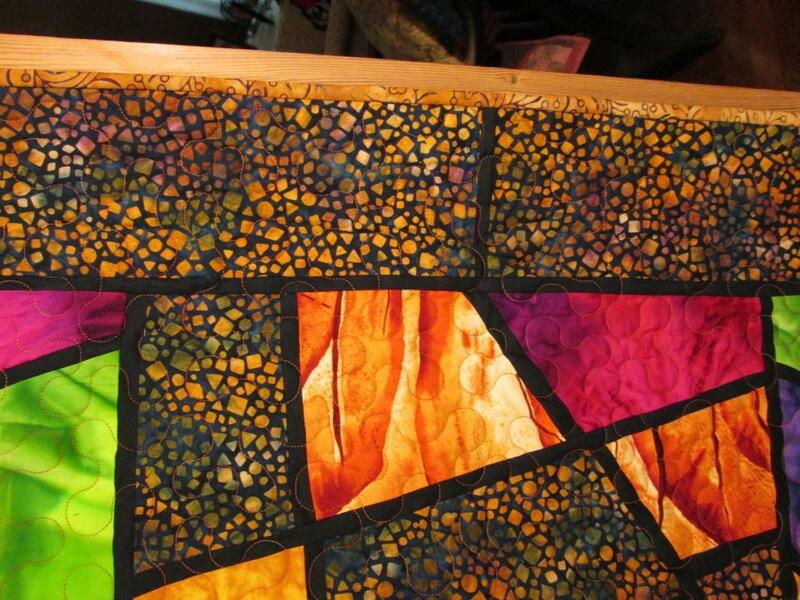 Bordered the black with gold & orange print fabric; backing is a soft lavender print, bound in tangerine orange fabric. Comes with hanging sleeve for display. 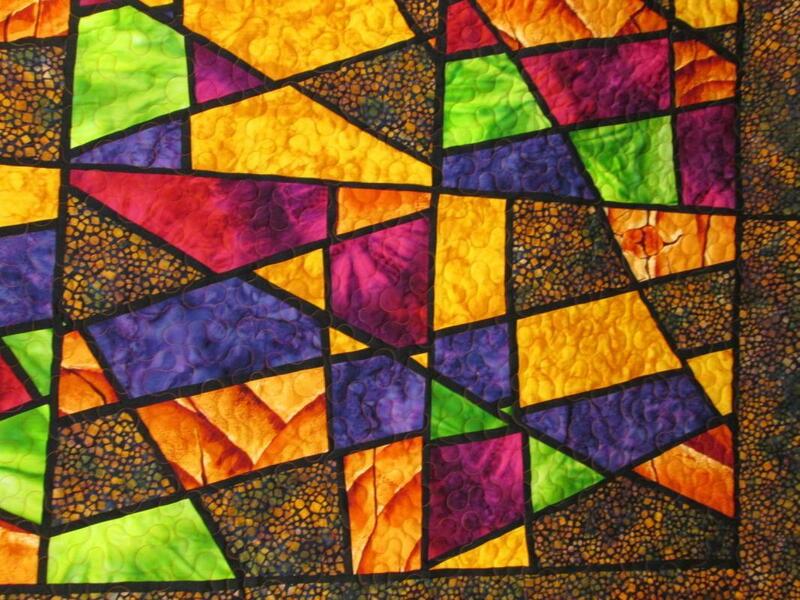 Quilted in a small meander pattern with tangerine variegated 100% cotton thread; batting is soft 80% cotton, 20% poly for strength. Made by me in my shop, pet and smoke free environment. 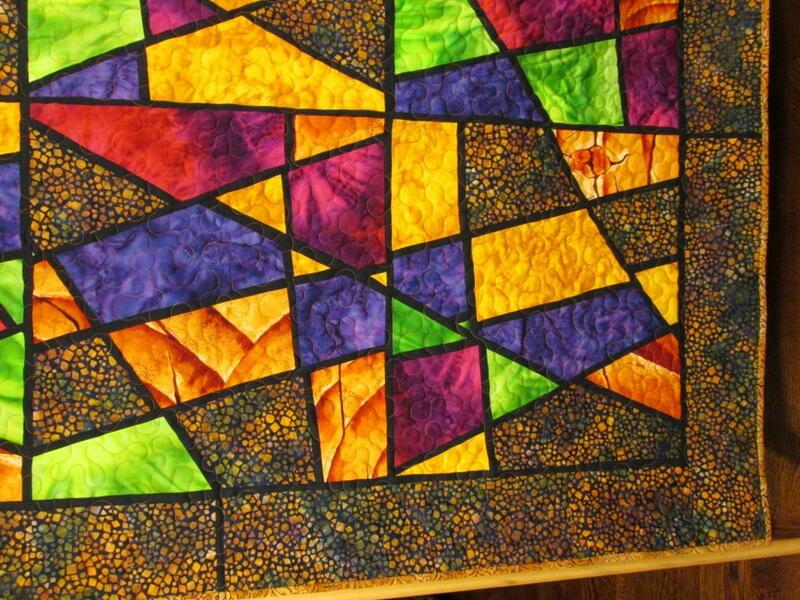 If you like this quilt but would like to make your own, please purchase my pattern for sale in my shop. Great display piece for any home! 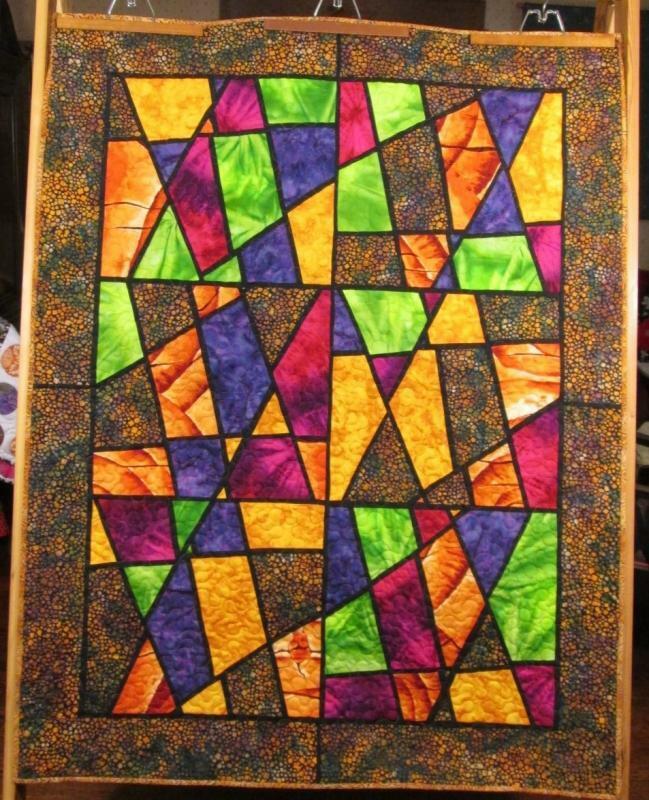 Items Similar To "Quilt Stained Glass Throw Wall Hanging 45 x 60"